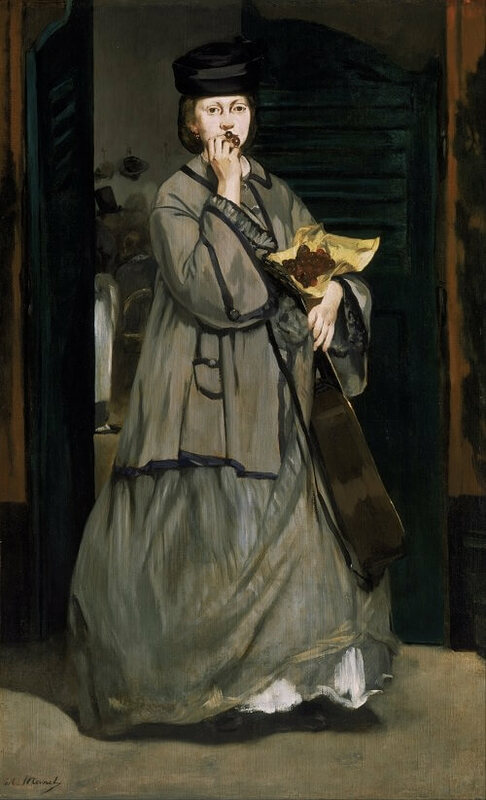 The Street Singer - was taken whilst Manet was walking through an old part of Paris; when a woman with a guitar stepped out of a tavern and held up her dress. 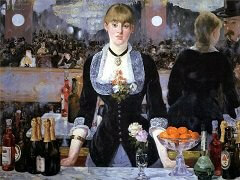 Manet straight away asked her to pose for him! 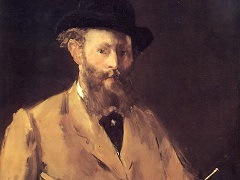 The style and subject matter in Street Singer seemed crude originally to academic critics, when the picture was first exhibited in 1863. 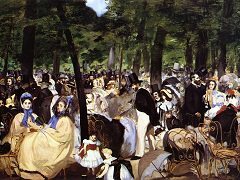 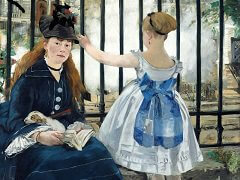 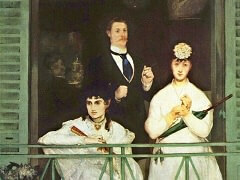 However, Emile Zola (novelist and friend of Manet) admired its formal beauties and its apparent confrontation with real life. 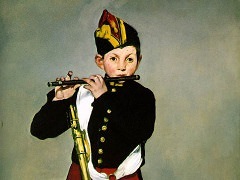 Standing like a sculpted statue, Manet's mystery model singer, is looking vacant and distant with a blank expression upon her face; she is gazing directly at the audience like a singer on stage but hardly acknowledges the imaginary director's presence, thus the lighting is harsh and the girl's face appears as if it were an oriental mask with really dark eyes set wide apart. 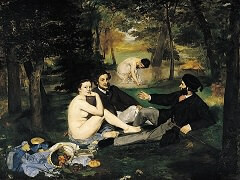 Starkly contrasting the scarlet cherries being held in her left arm, with the girls eyes and the yellow, brown, grey and green colour used, Manet has carefully managed to separate his background with precise outlines.